We send products only after money transfer. Fits all Seat Leon 1P MK2 2009-2012 After FaceLift models. Rear Roof Spoiler. Products are made from fiberglass laminate,durable and flexible material. We are following one simple rule. 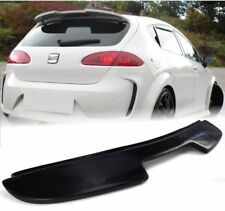 SEAT LEON FR 5F ( from 01.2013 up 12.2016) rear diffuser.It does not fit the facelift version. /model and not colour. Parts are GRP -FIBREGLASS. Knowledge of properties of GRP is required forr correct installation of the body styling-parts. Spoiler will fit 2005-2009 prefacelift model only! 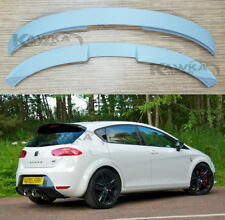 For: Seat Leon MK2 spoiler ( 1P PRE facelift model. 2005-2009 ). Mtechnik, mtechnic, m-technik, m-technic, aleron, alerón, alerones, aleirao, aleirão, aileron, mtech, mtech, tech, I, 1, rear, wing, boot . It fits perfectly to the car body. Screws included, but if you don't want to make holes, you can install it with silicone. Suitable for W176 A-Class Models WITH AMG Styling (Code 772). Replace your factory fitted rear diffuser against the new A45 Facelift diffuser to enhance you vehicles sporty appearance. This sale is for the Rear gloss black diffuser ONLY and DOES NOT include brackets or lower FIN. For sale is a 4 peice carbon fibre front bumper canards to fit BMW M3 & M4 F80 F82. 2 x Large Canards. 2 x Small Canards. These are not genuine carbon fibre but have been wrapped in carbon skin and then lacquered to give them a real carbon look. > The spoiler needs a little to be prepared before installation ( sanding, filling) and then painted to match your car <. > Spoiler mouted on the glue. You can use car windows glue, this adhesive is flexible, waterproof and very strong <. 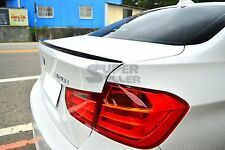 BMW 4 Series Coupe Carbon Fibre Spoiler to fit 2014 M4 F82 Trunk Boot Lid. 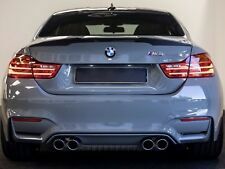 These spoilers make an incredible difference to the exterior of the M4 & is a must have for any M4 Coupe. These are a solid high quality Carbon Fibre Spoiler that will be sure to transform the look of your M4 Coupe. Real pics, Item is comming in black colour, made from High Quality, light and flexible fiberglass. Sportline Style Front bumper lip / spoiler. VW T5 2009-2015 Transporter / Mutlivan / Caravelle. You are watching a high quality product – one of the best in price&quality range. On the surface of the product might be visible small cracks ( which will be removed preparing the product for painting ). > The spoiler needs to be prepared before installation ( sanding, filling) and then painted to match your car <. > Spoiler mouted on the glue. You can use car windows glue, this adhesive is flexible, waterproof and very strong <. Audi A4 B8 8K 2007-2011 prefacelift only! Performance Front Bumper lower spoiler for Will fit only for STANDARD front bumper! Not Painted ( black or grey not ready for painting ). On the surface of the product might be visible small cracks ( which will be removed preparing the product for painting ). BMW E92 Coupe 2 Door Rear ABS hard Plastic boot Lip Spoiler 2005-2011. PAINTED SPOILER Gloss Black. ONE STOP SPOILER(OSS). Installation only takes 5 mins with the 3M double side tape (Per-install on back of spoiler). Audi A3 8P 2003-2008 only! This is not diffuser for rear bumper! Rear bumper lip / spoiler for On the surface of the product might be visible small cracks ( which will be removed preparing the product for painting ). SEAT LEON 2 MK2 2005-2009. COMPATIBLE WITH STANDARD BUMPER ONLY ! Gives your car an unmistakably authentic sport appearance. On the surface of the product might be visible small cracks ( which will be removed preparing the product for painting ). 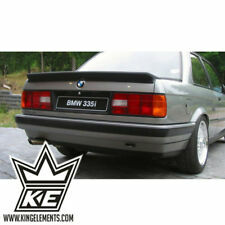 CSL Style Front bumper valance - spoiler, addon, lip for BMW E39 5 Series 1995-2003. Fits ONLY M5/ M-Tech/ M-Sport bumper ! You are watching a high quality product – one of the best in price&quality range. AUDI A5 SPORTBACK ( 8TA, 2009-2015 ) RS5/S-Line LOOK SPOILER. Spoiler will fit 5 door model only. 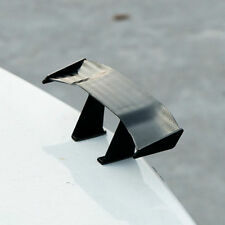 Tuner style Rear boot spoiler. 3 PIECE SPOILER KIT. We pride ourselves on our great service. Our trained staff will help you in any way we can. Problems are always resolved in a fair and professional manner. You will receive X1 Carbon Fibre Bootlid Spoiler as pictured & 3M Fitting Tape. Fantastic High Quality Real Carbon Fibre. Audi A4 B8 2008-2012 (prefacelift model only!). S-Line look Front bumper lip / spoiler. This lip fit only for simple bumper! You are watching a high quality product – one of the best in price&quality range. P-Performance Rear Bumper Valance Diffuser addon. For BMW X6 E71 E72. Ask For Carbon availability. There might be visible little cracks due to production process but they will be removed by preparing product for painting. BMW F31 Estate ( Touring ) 2011-2018. Performance Rear door / roof spoiler for On the surface of the product might be visible small cracks ( which will be removed preparing the product for painting ). ★★★ 24-Hour Free Shipping Prime Service ★★★. Material: Synthetic EPDM Rubber. Dimension: 252 x 6.5 cm / 100 x 2.6’’ (LxW). Thickness: 0.6 cm / 0.24’’. Built in shore 10-45 hardness to reduce the reversing flow when car driving. Extruding microwave vulcanization and salt bath curing technique ensures it durable and hardwearing . We have for sale Rear Spoiler, to nissan S14/S14a. Parts are new,and perfect fit. Seat Leon 5F spoiler (5 door model. 2012-onwards ). Spoiler will fit 5 door model only. Original CSL Style spoiler Shape from Original steel CSL boot lid! BMW E46 COUPE M/3 2DooR CSL STYLE Spoiler. SEAT LEON 2 MK2 2009-2012 (after facelifting). CUPRA R LOOK. 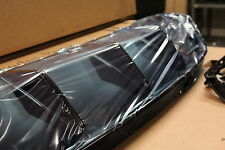 REAR ROOF SPOILER FOR WE WILL ANSWER IN 12 HOURS. For proper installation You need to get knowledge about properties of fiberglass. Parts are unpainted. Part Number: 1ML805903. Seat Leon Cupra R 1M 2002 - 2006. Seat Toledo Cupra R 2002 - 2004. Splitter is flexible in range from 145cm to 170 cm. e.g. Seat Ibiza, Seat Altea, Seat Toledo, Vauxhall Astra, Vauxhall Corsa, VW Golf. 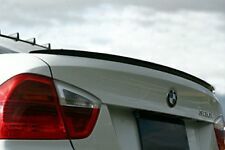 BMW E90 M3 Saloon Carbon Fibre Bootlid Spoiler. Super high quality Carbon Fibre spoiler for E90 Saloon Only. Stunning gloss finish with wonderful Carbon Fibre weave; a must have for anyone with an E90 Saloon. Will fit only for S-Line / S5 front bumpers! Audi A5 8T 2007-2011 Coupe. P-Performance Front Bumper lower spoiler for - only for lip. Made from high quality Fiber Glass. This product is made from GFK – a variety of fiberglass, more elastic and stronger. Enhance the look of your vehicle with a superb rear spoiler; made from high quality PU this OEM style spoiler is certain to be a fantastic styling accessory for your vehicle. This spoiler is remarkably easy to fit; it can be bonded directly to the vehicle using a PU adhesive. RAW Fiberglass (Contains Production Marks, as Dents or Scratches). Professional Installation required. (Bumpers, Spoilers, Splitters and etc.) ABS and Friberglass NOT painted and NOT ready for painting. FIT Models MAZDA MX5. It fits version MX5 NA 1989-1998. REAR LIP SPLITTER FOR MAZDA. Include 1 REAR Lip Splitter for bumper (Made in 2 pieces). Also include 1 FRONT Splitter for bumper. EXPERT SERVICE TECHNICIANS. Seat Leon 5F Aero look side skirts ( 2012-onwards ). Side skirts will fit 5 door and Sport Tourer model only. VW Passat B5 3B 1996-2000. 2 pcs ( left right ). You are watching a high quality product – one of the best in price&quality range. On the surface of the product might be visible small cracks ( which will be removed preparing the product for painting ). Part needs to be prepared and trial fitted before painting! We send products only after money transfer. Material: fiberglass, glass-reinforced plastic, GRP. Fit AUDI A5 B8 B9 08-2016 CAT STYLE REAL CARBON FIBER TRUNK BOOT LID SPOILER WING. Will Dramatically Improve The Sporty Appearance For Your A5. For 2008-2016 AUDI A5 B8/B9 2 Door Coupe Models. CAT Style Spoiler At Low Price. All our parts are made from GRP. Our parts are made from high quality fiberglass. It supposed to be fixed by refinisher with fiberglass experiance to avoid fixing errors. We want to be sure there won't be any defect. Our car parts was checked on original exsisting vehicles. Toyota Celica T23 1999-2005 R-1 vented front fenders wings . Pair. Approx 1500 g / each. With fittings. I first put the item on my car, and then send you photo and video. And then send the item to you. Seat Leon 5F Sports Tourer Aero look side skirts ( 2012-onwards ). Side skirts will fit Sports Tourer and. 5 door hatchback. /model and not colour. Parts are GRP -FIBREGLASS. Knowledge of properties of GRP is required forr correct installation of the body styling-parts.